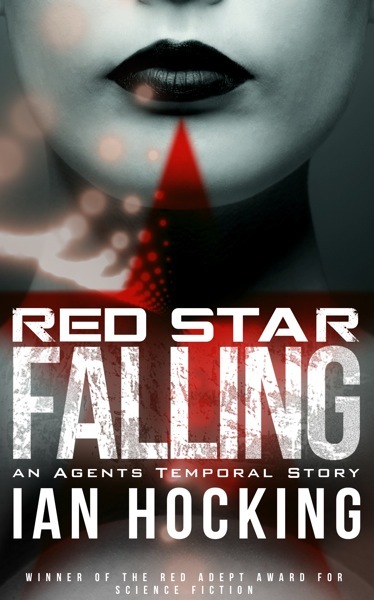 Well, m’readers, Red Star Falling–book one in my Agents Temporal series–is now avail­able from that large Luxembourg-based com­pany we all love to hate. Thanks to every­one who helped me get this out the door. The mys­ter­i­ous organ­isa­tion known only by its ini­tials: Meta. The miss­ing 100,000 roubles of the 1907 Yerevan Square Expropriation and its smug­gler, the Georgian out­law known as Soso. Meta Agent Singular, Saskia Brandt, on a mis­sion from the future. The north face of the Eiger—treacherous, unclimbed, enshadowed—waiting for the money, the out­law, and the Agent Singular. Agent Singular: Particular. Special. One-shot. Saskia Brandt returns in this action-packed story from the writer of best­seller Déjà Vu.